Last week, I was thrilled to join a diverse group of bloggers on the LAMBcast for the latest Movie of the Month. 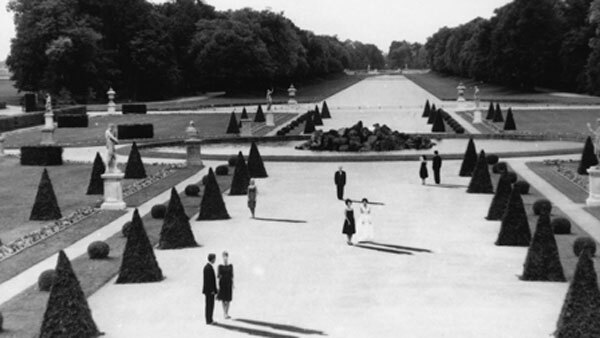 The surprise winner for February was Alain Resnais’ divisive 1961 film Last Year at Marienbad. 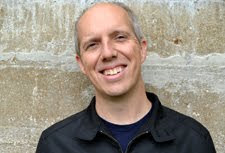 Brian Roan from Dear Film was its champion and worked diligently to gain the win. This gave him the chance to get attacked from all fronts by the participants of this podcast. I was the only person who had seen this movie before, so it was a new experience for the other three guys. My response is mixed but gives Resnais more credit than the newbies. My challenge is discovering whether it’s a brilliant commentary on memory and cinema or a tedious exercise. In a strange way, this confusion actually matches the characters’ own difficulties with facing their past encounters. The story takes place at a lavish chateau, where a man known as "X" (Giorgio Albertazzi) meets "A" (Delphine Seyrig) and tries to convince her they had an encounter last year. He goes into vivid detail about the rooms and gardens of this place, yet she refuses to believe the events actually happened. As he continues to hound her about the meeting, reality starts breaking down and makes us question if anything is true anymore. Hanging over the proceedings is "M", a strange man who may be her husband. Their connection isn't clear, yet he hangs just outside the frame and looms over the characters. It's a confounding story that is covering pivotal themes about cinema but in the most abstract way possible. Even a challenging film like Inland Empire feels straightforward by comparison. What I really enjoyed about this podcast was the fiery debate it generated throughout the discussion. While it’s fun to rave about some of our favorite movies, there’s something inspiring about having serious disagreements. This often leads to a better conversation and allowed us to dig further into the movie. Everyone stayed pretty civil and had fun even with the sharp differences in opinion. The other participants were host Dylan Fields of Man I Love Films, Nick Jobe from Your Face, and Pat McDonnell from 100 Years of Movies. We also gave some rants and raves about movie topics and played a fun game to challenge our knowledge. You should check out this podcast by following this link. This is a film I've been avoiding until I'm in the right frame of mind given what I've heard about it. I do intend to see it soon if only to appreciate it as a contentious and influential art piece. I can understand your hesitation in wanting to jump into this movie. It's a film that I admire in a certain way but also wouldn't recommend to everyone. I can understand the hatred, though I do think it's worth seeing if you're in the right state of mind. One of my top 10 favorite movies of all time. After watching it, I thought about it for weeks on end, as in a trance. The podcast was hilarious! Glad that you enjoyed the podcast. Hopefully you weren't too upset when some of us weren't as thrilled with one of your favorites. It was a fun conversation.